If Brentford were going to be fined, it should surely have been for failing to ensure their team had a chance of being competitive after Dean Smith opted for his unusual 4-5-1-0 (I’ll also accept 4-6-0) formation. To have a starting XI bereft of a striker in any game, let alone one of this magnitude, should have been deemed a sanctionable offence. Whilst we’ve done that one to death now, the FA have stirred up all those emotions once more with this puzzling fine and low key statement. I read the story on the official Brentford website first of all and my initial reaction was one of a cover up, so limited was it in detail. But no, we don’t have a streak of paranoia running through the club as a subsequent review of the initial announcement on the FA ’site revealed a similar dearth of information. Indeed, it was only West London’s Premier Journalist Tom Moore who was able to shed light on the incident. His GWL story reminding us that the trigger was the ‘mass confrontation… following Karl Henry’s heavy tackle on Ryan Woods’. Wow. Seriously? I’m all for protecting the referee but was this really worth official sanction and a fine of this nature? It wasn’t even ‘handbags at twenty paces’ compared to some of the ungainly scenes we are witness to week in, week out on the televised games. If so, then surely the FA coffers would be swollen to bursting if a £17.5k sanction was imposed every time players reacted to a challenge of that severity in this style. Moreso, given the lack of protection previously afforded to the players in this instance by referee Fred Graham. 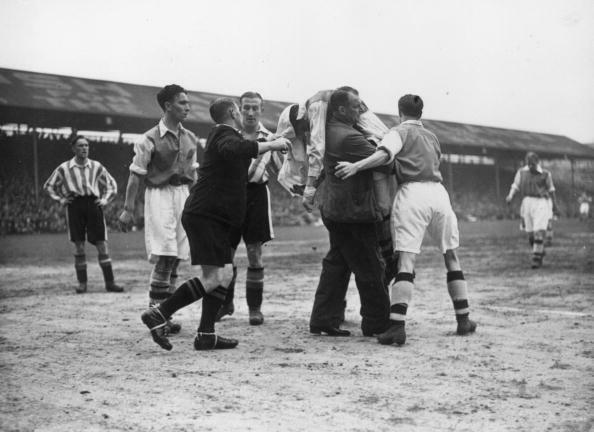 Brentford are hardly a team to trouble the authorities on any form of regular basis and, whilst that shouldn’t make you immune for any punishment genuinely due, the incident certainly seems one to have been treated as somewhat of an over reaction. I can understand the club doing nothing but sticking to the official line on this one. Like arguing with a traffic warden, any resistance would be futile and likely just lead to further punitive measures or unwanted contact. Instead, one we’ll have to take on the chin and put behind us. It was a question we’d pondered on these pages previously but how about picking a team of them? And please, no smart alecs saying we’d already done that in the Blackburn game. One of my favourite Twitter sites,@OldschoolPanini, last night shared the work of French artist Schizoïd Brain who has recreated the French World Cup ’86 team in zombie based form. You can find them alongside their Panini equivalents at the ‘Old School’ website but, until then, here’s a brief…taster. Finally, many thanks all for the reaction to yesterday’s article on ‘cyber tw@ttery’ and keyboard warriors / bullies (delete as applicable). I wasn’t going to comment further on our unknown assailant whom, for want of anything better to call him, we’ll simply refer to ongoing as Trevor the troll. Purely for alliterative purposes. I’m not going to credit him any further with his own ‘hilarious’ nom de plume although if there are any non-trolling Trevors reading, apologies !. It was interesting to see the amount of direct contact in response to this, from all manner of unlikely sources amongst our great Brentford family. Likewise, reading the latest column of fellow blogger Greville Waterman last night. It seems he has also had a few visitors and has reacted in a similar fashion to myself. I have to agree with his sentiments. It’s a really sad state of affairs that alleged supporters can treat fellow fans like this. Well done Greville for fighting back. Fingers crossed we can all put this nonsense behind us, draw a line under it and get back to focussing on a third successive season in the Championship. Nottingham Forest (a) can’t come soon enough. We Came. We Saw. We Capitulated. 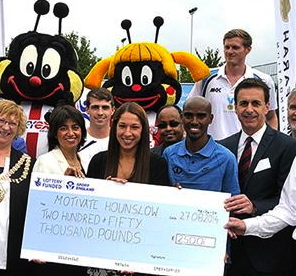 But who is Brentford’s secret Zoolander? QPR 43% Brentford 57%. What an afternoon! The Bees marched into Loftus Road hoping to achieve a rare double over our fiercest of local rivals and left it as clear and outright winners in the possession stats. It was as dominant and comprehensive a display of ball control as we could have hoped for going into a game of this nature and the Bees came out on top. That QPR scored 3 goals to our 0 is almost a moot point. With head coach Dean Smith opting not to play a recognised striker but, instead, having diminutive Alan Judge operating as the advanced midfielder (or ‘false 9’, as I saw bandied around !?) in a 4-6-0 formation, its hardly a surprise. Those expecting vitriol towards the players aren’t going to get it. Go to Facebook, Twitter or elsewhere. You could see what this meant to the likes of Alan McCormack and Harlee Dean. Our number 6 seemed to be in tears at the end of it and had to be directed towards those who remained of the 3,000 Bees fans. Nico Yennaris continues to grow and Sergi Canos impressed until he was, oddly in my eyes, removed from the field of play at the first substitution. But despite the best efforts of Woods and Canos, speculative shots from distance don’t usually win games. It worked, once, at Reading, when two world class goals won us the match but that’s very much the exception to the rule. Instead, get the ball into the centre forward. Or forwards . Ryan Woods hit the post and KK had one tipped over late on but that was the only save of note I recall QPR ‘keeper Alex Smithies having to make. Why Dean Smith chose over an hour of the derby, away from home, to mess about with an experimental formation missing any form of traditional centre forward I have genuinely no idea. Moreso, what on earth does it say about his thoughts on the development squad if picking nobody was deemed a more positive alternate to chucking one of the youngsters in to see how they coped? Comments during the week of “One would presume Macca will be brought in for QPR …. The only question being who fills the role of ineffectual striker – Hofmann, Djuricin or Vibe” and then yesterday morning of “We could play John Swift in goal with Harlee Dean up front and nobody would care if it meant getting on the 237 home with all three points in our back pocket” were meant in an ironic sense. What point was he trying to prove? Whatever it was it certainly didn’t work, no matter how much Dean thinks we were in that game . But hey, “We go again”. Right now I don’t want to overly dwell on it. Abject disappointment is the over-arching emotion. This is what it must feel like to be the parent who says, “I’m not angry. I just feel very let down”. Brentford fans were reported to be fighting amongst each other and I saw a lot of anger being demonstrated towards those deemed ‘not loyal’, simply for sitting down or not singing Oldham’s song on 90 minute loop. The irony of the pair delivering that particular tirade at one chap in the front row then, between them, failing to return for the second half and slinking out after the third goal was not lost. Behind me, the emotion had clearly got to another fan who had been giving a running commentary down the phone to his, presumably, better half during the second half. Even this call reached a sad denouement with the line, “Yes. I love you my darling. But we’re sh*t. Now please f**k off” . Whether right or wrong, this is what it meant to supporters and choosing such a ridiculous time and place to experiment in this fashion shows just how badly Dean Smith called this one. Still, out of darkness comes light. In a week that has seen Beesotted administer a gentle probing to Matthew Benham and Greville Waterman present his voluminous list of questions to Phil Giles in that marathon two hour interview, the Last Word has its own exclusive. Who is Brentford’s next top model? Half time was lit up when BBC Billy Reeves responded to a call of his name by performing a ‘blink and you’ll miss it’ touchline sashay. Part Moonwalker, part Zoolander it was as smooth a transition from casual stroll to C&A model as you could ever hope to see. As one terrace wag noted ,” He accelerated from zero to catwalk in 1.2 seconds”. If only we’d been able to show some blue steel yesterday. Is there no end to Billy’s talents? Birmingham City and Brentford fans – trailblazers or sell outs? With the disappointment of Adam Forshaw and Tuesday night against Fulham put to one side, I’ve been trawling the Internet for a different Brentford story. 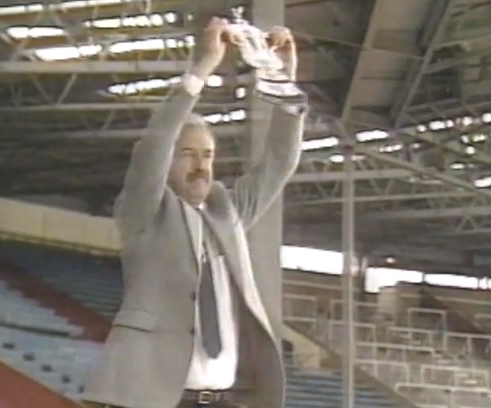 And thanks to a most unlikely source – Birmingham City – I’ve found one. 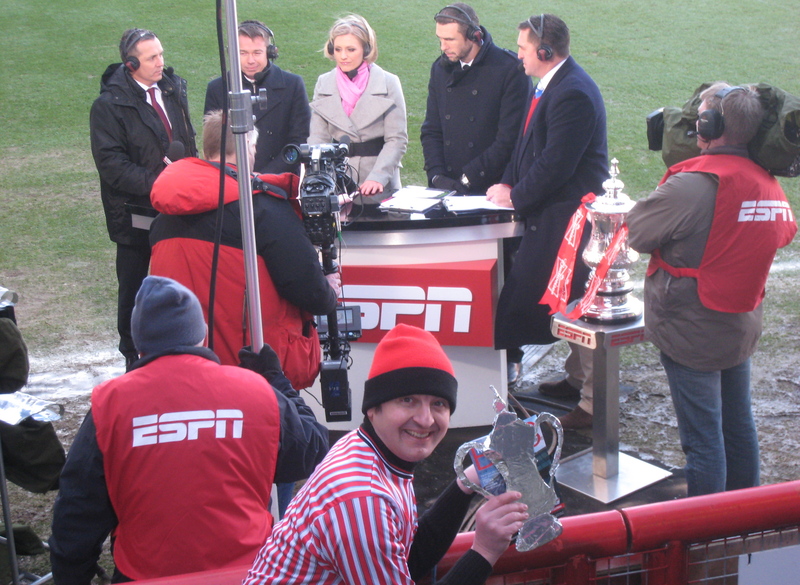 It’s no secret that even outside of ‘official’ circles we have several fanatics involved in promoting Brentford FC. And, by promoting, I mean more along the lines of ‘getting involved’. The work of the Beesotted crew is, of course, a longstanding yardstick by which to judge others but then we have all other levels of involvement. There are the bloggers such as myself and Greville Waterman with his BFCtalk; the fanzine teams such as Thorne In The Side; the authors, such as Luis Adriano or, again, yours truly (‘Celebrating like they’d won the FA cup’ and ‘Penalties‘ are still both available on kindle). 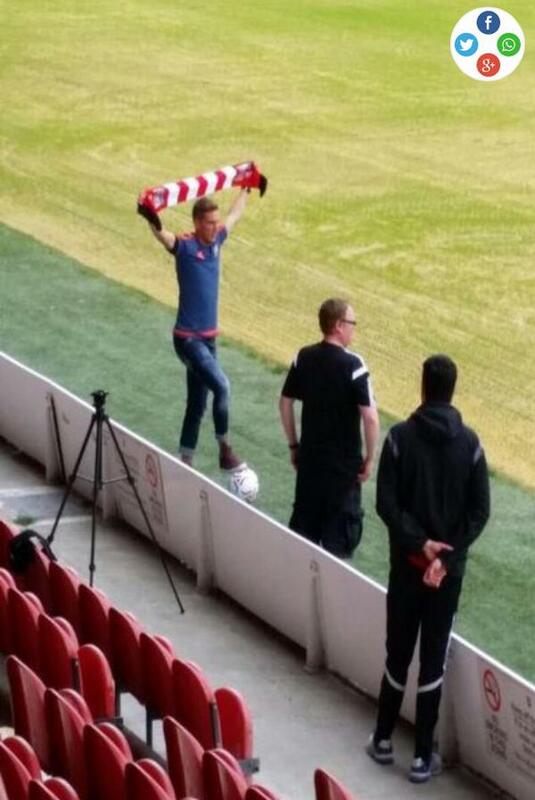 Even the supporters themselves, through the medium of fancam. Which brings me on to Birmingham City. For all the past rivalry and banter their fans are, ultimately, much like our own. You get those who travel, those who like a drink in an ‘away’ pub, those who arrive two hours early to clap the players off the coach and those who write the blogs, publish the fanzines and shoot the home produced videos. Diehards who each contribute their own small piece to the labour of love that is ‘supporting your team’. In the case of Birmingham City things are slightly different. Trying to find a picture of Clayton Donaldson in a ‘blue shirt’ I stumbled across the below video by a chap called Davo. Like the Beesotted ‘match videos’ it features the visit to the opposing team and various fan interviews. 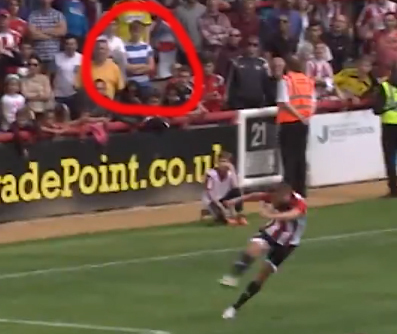 However, unlike the Beesotted videos – their equivalent from the Birmingham game being below – there are two distinct differences which, I’d wager, are probably related. That said, what they do have is an added sense of ‘being there’. We can’t all be lucky enough to travel and this footage just adds to the sense of still remaining part of that giant football family. Frankly, I love it. I think this is a great touch to complement a really well put together piece of work. 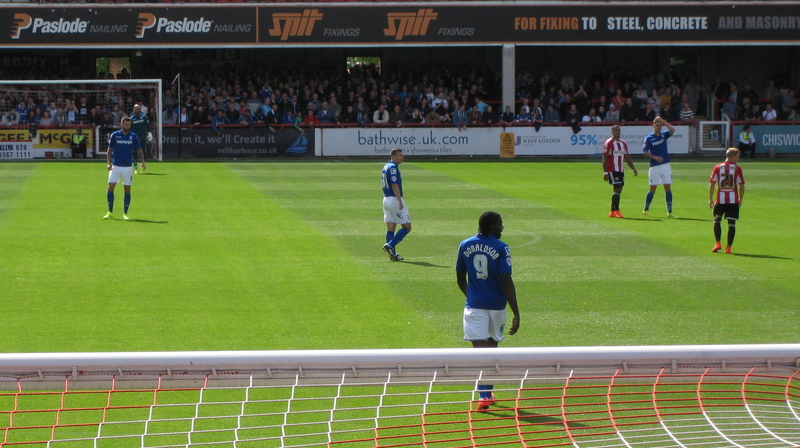 Even for the ‘home’ team, it gives a unique view on the game as, in the case of Brentford, we’d never see action from the Wendy House. Not just that but a potential loss of respect from the very people you are appealing to. If the likes of T.I.T.S. or GPG could only exist through official club channels, there’d be immediate accusations of “Sell out” all round. I love these sources purely because they ARE independent. That’s not to knock the club. They produce their own highlight packages and Beesplayer features. Football is a business and they are appealing to their consumers – the fans. The media team are trying to promote ‘brand Brentford’ and why should they allow anybody else to muscle in? And this is where we come back to the earlier ‘Manish’ point. It’s one which has also been highlighted by the Premiership recently looking to prosecute people for publishing highlight clips on YouTube. I’m not a (complete) idiot and realise that there are things such as contracts, licensing agreements, exclusivity deals etc. However, there is also such a thing as technology, which is ever evolving. Social media and mobile phones are going to present people with more and more opportunity to share these sort of clips. Technology which is going to be harder and harder to police. Just ask Getty images! These are clips that, of course, are hardly of the highest quality (relative to the TV coverage or official highlights packages) and unlikely to steal any potential viewing figures. I could watch either of these two video reports but I’d still, also, want to catch up on the Football League show or club YouTube site. I could read Greville’s latest blog column but I’d still make sure I juxtaposed this with Chris Wickham’s match report. The point being, as ever in a very roundabout fashion, that I’m not sure what the footballing authorities (at whatever level) are scared of? People are never going to turn away from official coverage because some well organised fans have bolstered their video report with thirty seconds of match footage shot from the back of the terrace. Reports which have all the more credibility for the fact that they remain independent. Our clubs do an excellent job of Youtube and ‘player’ footage. Davo at Birmingham has produced a really impressive piece of work that has the bonus of ‘unique’ match footage although who knows if/what the club have held back. Even if nothing, supporters will always have their suspicions that this is just more ‘club speak’. All these teams produce different pieces of work but all complement each other. Is there really no margin for a bit of crossover? Like it or not, social media is going to make this happen more and more. Whilst, rightly, I can’t see the likes of the BBC, the clubs or the Leagues allowing fans to transmit full match footage, is the odd minute or two of handheld camera footage REALLY that big a threat? Indeed, could you argue that this brief taster will only drive supporters towards official sites to see ‘the real thing’. Or is money and exclusivity that big a deal that any threat should either be obliterated or legitimised through an official partnership? I do find it interesting that Birmingham City have even had to go down a partnership route. Is it a case of embracing change or simply ‘making a deal with the devil’ ? My take on it? Official footage is high quality but a few minutes of supporter shot film gives that true feeling of being part of a fanbase; of supporting your team; of stoking further interest. And given how the club’s bottom line is, surely, to attract ‘customers’, then what easier way to do this? If the video crews, bloggers and fanzine writers are prepared to do this then, surely, they are just saving the marketing teams a bucketload of effort and providing hours of publicity? One thing’s for sure, we haven’t seen the last of fan shot video reports. The only decision being how hard the clubs and League want to police them or, if done in moderation, how much they are actually prepared to accept this, unintentional, free advertising. I was all set to get over excited about the visit of Fulham to Griffin Park tonight but the edge has been taken off things a little bit with news that Brentford have finally accepted a bid from Wigan Athletic for Adam Forshaw. In a rare turn of events, the club made an advance press release (normally, transfers not being announced until well after the ink has dried) as they told us that Adam has gone North to discuss terms.